The Foja Mountains on the Indonesian side of New Guinea have proven a biological treasure trove that just keeps spilling riches. Two-and-a-half years ago the region—dubbed Indonesia's 'lost world'—made news globally when researchers announced the discovery of a giant rat: five times the size of the familiar brown rat. New amphibians, birds, and insects have also been found during past expeditions in 2005 and 2007. A collaborative team of Indonesia and international researchers have since returned to the Foja Mountains and found more spectacular species. Undertaken by Conservation International's Rapid Assessment Program (RAP), the recent 2008 expedition has proven as just as fruitful as two prior ones. During this expedition biologists uncovered several new mammals, a bird unknown to science, a new amphibian and a new reptile, as well as a dozen insect species. "The Foja Mountains are a virtual island where species have evolved for millennia," explains John Francis, Vice President for Research, Conservation and Exploration at National Geographic in a press release. The National Geographic Institute provided scientific and financial support, while Tim Laman of National Geographic magazine joined the expedition as photographer (see a selection of Laman's photos at the end of the article). The expedition's new amphibian was discovered fortuitously by herpetologist Paul Oliver as it sat on a bag of rice in the camp. The frog (Litoria sp. nov.), already dubbed 'Pinocchio', has a long nose that points up when males call, but down when they are inactive. Oliver also uncovered a new gecko species during the trip. 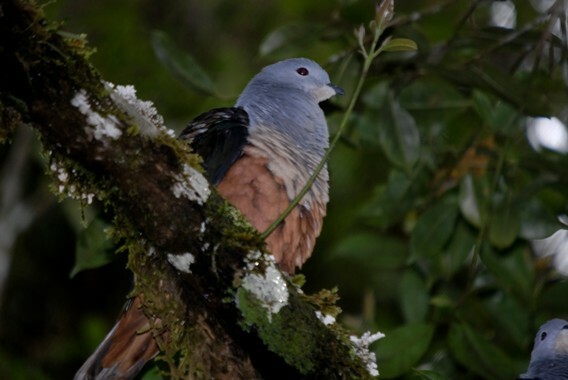 Ornithologist, Neville Kemp, was also lucky: he discovered an unknown species of imperial pigeon (Ducula sp. nov.). Researchers recorded the new bird no less than four times during the expedition. 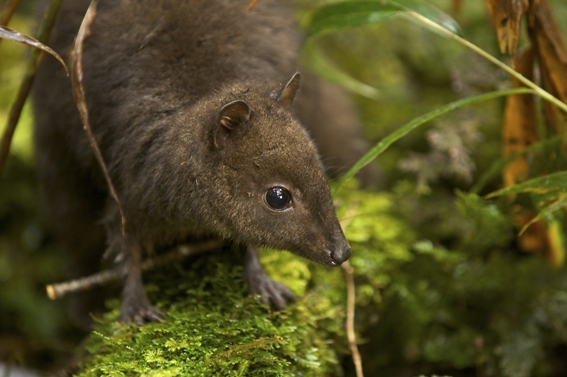 One of the discoveries proved a record-breaker: a new species of dwarf wallaby (Dorcopsulus sp. nov.) is now the smallest in the world. Biologists also found a new species of blossom bat (Syconycteris sp. nov) and a new tree mouse Pogonomys sp. nov.). Braving torrential rains and flash floods, researchers in addition found a new black and white butterfly (Ideopsis fojana) and a new flowering shrub (Ardisia hymenandroides). "While animals and plants are being wiped out across the globe at a pace never seen in millions of years, the discovery of these absolutely incredible forms of life is much needed positive news," said Dr. Bruce Beehler, a senior research scientist at CI and expedition member. "Places like these represent a healthy future for all of us and show that it is not too late to stop the current species extinction crisis." Many of the species recorded on the expedition, while not new to science, are incredibly rare. Scientists took the first photos ever of a free moving golden-mantled tree-kangaroo (Dendrolagus pulcherrimus), which is classified by the IUCN Red List as Critically Endangered due to over-hunting and habitat loss. Researchers believe there may be less than 250 golden-mantled tree-kangaroos left in the world. Spread over 300,000 square hectares in western New Guinea, the Foja Mountains are made-up of pristine isolated rainforest free from development, roads, and deforestation. 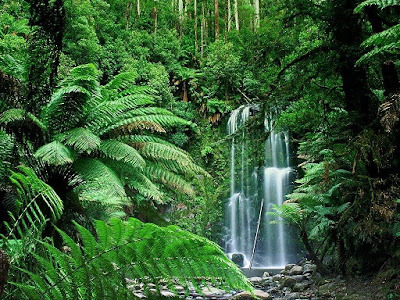 The Indonesian government has currently classified the area as a National Wildlife Sanctuary. Conservation International hopes this RAP helps encourage more protection in the region. Conservation International's RAP surveys send researchers into poorly known parts of the world for a short time (usually three-four weeks) in order quickly assess a region's biodiversity. This RAP was supported by National Geographic Society, Smithsonian Institution, and Indonesian Institute of Sciences (LIPI), and will be covered in the June 2010 issue of National Geographic magazine. Long-nosed tree frog (Litoria sp. 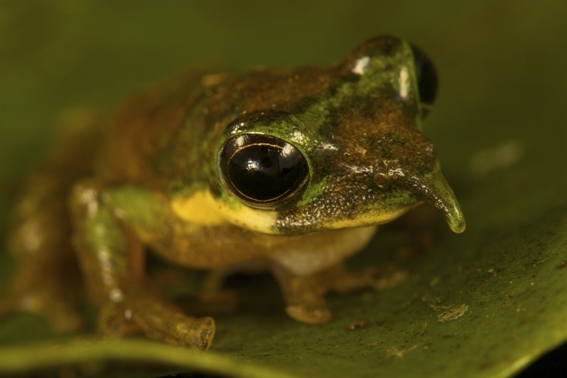 nov.) New species of frog, discovered by Paul Oliver of Australia with funding from the National Geographic Society. A related article, with images by Tim Laman, appears in the June issue of National Geographic magazine. To view more images, go to www.ngm.com/foja. Wallaby (Dorcopsulus sp. nov.) The world's tiniest known member of the kangaroo family, discovered by Kristofer Helgen of the Smithsonian Institution. A related article, with images by Tim Laman, appears in the June issue of National Geographic magazine. To view more images, go to www.ngm.com/foja. Imperial pigeon (Ducula sp. nov.) New species. Photo by: Neville Kemp. To view more images, go to www.ngm.com/foja. 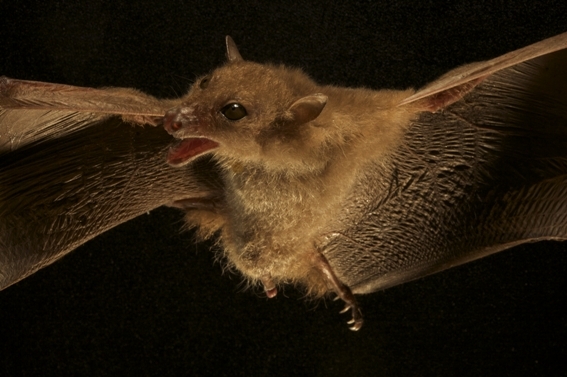 Blossom bat (Syconycteris sp. nov.) New species. A related article, with images by Tim Laman, appears in the June issue of National Geographic magazine. To view more images, go to www.ngm.com/foja. 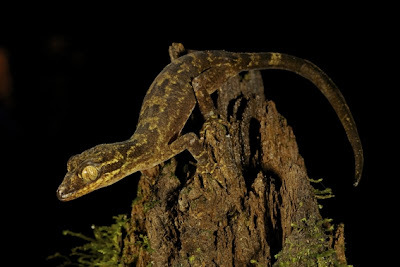 Gecko (Crytodactylus sp. nov.) New species discovered by Paul Oliver of Australia, with funding from the National Geographic Society. A related article, with images by Tim Laman, appears in the June issue of National Geographic magazine. To view more images, go to www.ngm.com/foja. 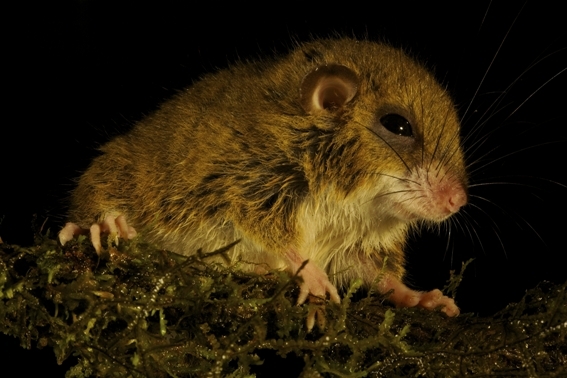 Tree mouse (Pogonomys sp. nov.) Likely new species, discovered by Kristofer Helgen of the Smithsonian Institution. A related article, with images by Tim Laman, appears in the June issue of National Geographic magazine. To view more images, go to www.ngm.com/foja. 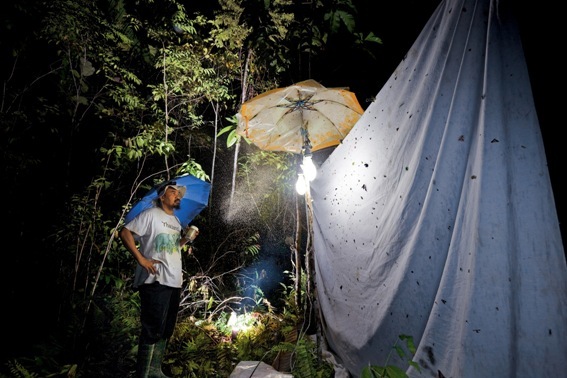 Harry Sutrisno of the Indonesian Institute of Sciences traps moths. A related article, with images by Tim Laman, appears in the June issue of National Geographic magazine. To view more images, go to www.ngm.com/foja. 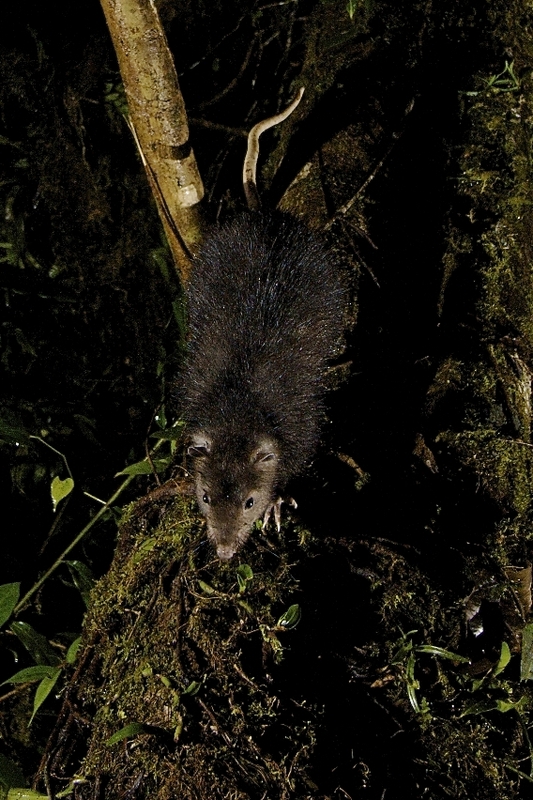 Woolly giant rat (Mallomys sp. nov.) New species. A related article, with images by Tim Laman, appears in the June issue of National Geographic magazine. To view more images, go to www.ngm.com/foja. Stephanie Vergniault, head of SOS Elephants in Chad, says she has seen more beheaded corpses of elephants in her life than living animals. In the central African nation, against the backdrop of a vast human tragedy—poverty, hunger, violence, and hundreds of thousands of refugees—elephants are quietly vanishing at an astounding rate. One-by-one they fall to well-organized, well-funded, and heavily-armed poaching militias. Soon Stephanie Vergniault believes there may be no elephants left. A lawyer, screenwriter, and conservationist, Vergniault is a true Renaissance-woman. She first came to Chad to work with the government on electoral assistance, but in 2009 after seeing the dire situation of the nation's elephants she created SOS Elephants, an organization determined to save these animals from local extinction. As a writer Vergniault is also working on a screenplay related to the ivory trade in Chad and elsewhere in Africa. Poached elephant: poachers cut off the trunk and sometimes the head to get at the ivory tusks. Photo courtesy of Stephanie Vergniault. "The population of Chadian elephants was around 20,000 in the 1980s, but due to the intensive poaching, it was reduced to a little more than 3,000 today," Vergniault recently told mongabay.com, illustrating a total decline of 85 percent in less than three decades. And that number keeps falling: 105 elephants were killed by poaching in the region of Logon Oriental during the month of April alone. According to Vergniault if poaching continues at this rate not a single elephant will be alive in Chad in three years time. SOS Elephants is working desperately to establish ways to stop poaching in Chad, yet they face off against poachers who are highly-trained and well-compensated soldiers-of-fortune with access to sophisticated technology, not simple locals driven to kill elephants out of desperate poverty. "I doubt [the poachers] are living in Chad," Vergniault says. "They have a kind of Arabic nomadic style: traveling by horses divided into small groups of 5, sometimes with camels to carry the ivory. They are apparently former soldiers, since they are very well trained when shooting." Vergniault says that she believes the poachers have their main base in the Central African Republic, and are likely operating both in Chad and Cameroon. These poachers are also equipped with the latest in technological advances, including GPS and satellite phones. They may even be employing satellite imagery to locate and follow elephant herds. Vergniault works with locals. Photo courtesy of Stephanie Vergniault. "Due to certain sources that I cannot for the moment reveal, we are really wondering if they are not using satellite pictures to localize the groups of elephants," Vergniault explains. "It is very important for us to understand how the traffic is organized abroad and if the 'guys' behind the traffic have very sophisticated ways to operate and are able guide the poachers due to very high satellite picture, perhaps even military quality?" Who is ultimately organizing and paying these militia-poachers no one knows. However, the ivory does not stay in Africa, but most likely ends up in far-away China, a nation known for a rich market of illegal wildlife goods. The only way for SOS Elephants to even begin combating such determined poaching is by working closely with locals and the Chadian government. "We are slowly establishing a very good network of local informers who have been taught by us to give us the position of poachers or elephants. Due to our very good relationships with the Chadian authorities, we are alerting the Mobile Forces of Protection of the Environment and sometimes even the Head of State to ask him to send troops whenever it is necessary," Vergniault says, adding that the Head of State of Chad, Idriss Deby Itno, has become a heroic ally in the war to save the nation's elephants. Officials seize ivory with killed elephant in the background. Photo courtesy of Stephanie Vergniault. The government, Vergniault stresses, has been incredibly helpful. In fact, it's not only elephants that are losing their lives to poachers' ammunition, but Chadian soldiers as well. Last month poachers killed two Chadian soldiers in a single weekend. The elephant wars are a human tragedy just as much as a wildlife one. Along those lines, SOS Elephants is not content to only work on the poaching issue, but is also helping locals protect their fields from hungry elephant. "Because we need to enhance the quality of the relationships between elephants and farmers, our second kind of activities is to teach the people how to better protect their crops," says Vergniault, who has worked with farmers to employ red pepper as elephant-repellent, including planting red pepper around their fields. Historically, Chad's elephants have migrated both to Cameroon and the Central African Republic using the same corridors for centuries, but recently farmers have moved into many of these corridors planting crops, which has brought sensitive elephants and humans closer together. SOS Elephants is also working with authorities on plans to move people out of the elephant corridors. Vergniault overlooks carcass with soldiers for protection. Photo courtesy of Stephanie Vergniault. "A lot of education should be done with locals to explain that elephants can produce income and that it is [the local's] duty to alert the authorities when poachers are around," Vergniault says, but adds that saving Chad's elephants is not just up to Chadians. "At a greater level the International community should pressure all the states buying [ivory] to condemn it." As highly-intelligent animals, Vergniault says that the elephants of Chad have not been left psychologically unscarred by the poaching war waged against them. In fact, the constant pursuit by armed killers—and tens-of-thousands of their own dead—have made the elephants of Chad increasingly aggressive, and even murderous. "Elephants have a very good memory and, in my opinion, most of them are now survivors of a 'holocaust'. They have seen other elephants from their groups killed by humans and more and more they are taking their revenge and are becoming serial killers," Vergniault explains. "It is a pity! The remaining elephants of Chad are survivors and their only way to survive is to be very aggressive. For example, every time Chadians elephants see a horseman, they charge! Why? Because poachers are horsemen!" Elephant poaching is on the rise globally, but in all the media covering the issue the massacred elephants of Chad have been largely ignored: Vergniault hopes to change this. In a nation still considered unstable—where approximately 80 percent of the population lives below the poverty line and hundreds-of-thousands of refugees have arrived to escape violence in Darfur—saving elephants may appear unimportant next to the scale of human tragedy. Yet, if one is to hope for the future of Chad, and of central Africa in general, one has to believe that species like the elephant can survive the current onslaught—just as one hopes the people will weather the long storm—and continue to inhabit a region where they have roamed for millions of years. To keep up on the work of SOS Elephants join the Facebook page which sends out regular updates: SOS Elephants Facebook Group. A herd of elephants roaming free in Chad. Photo courtesy of Stephanie Vergniault. Vergniault inspects an 'average' poaching. Photo courtesy of Stephanie Vergniault. Vergniault rides with a soldier for protection. Photo courtesy of Stephanie Vergniault. Poached elephant with trunk cut off. Photo courtesy of Stephanie Vergniault. SOS Elephants works closely with local communities. Here they have sponsored a local football team. Photo courtesy of Stephanie Vergniault. Poached elephant with its head cut off. Photo courtesy of Stephanie Vergniault. Vergniault working with locals. Photo courtesy of Stephanie Vergniault. Officials hold up confiscated ivory. Photo courtesy of Stephanie Vergniault. Vergniault examines a poached elephant. Photo courtesy of Stephanie Vergniault. Forest Degradation. Selangor which had experienced a loss of up to 10% of its forests in the 22 years between 1990 and 2012 continues to face forest degradation, a study by UKM scientists found. 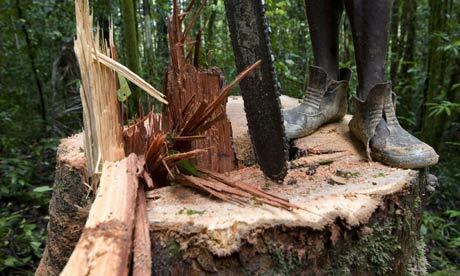 The deforestation was found to be due to economic and development factors including increased farming and urbanisation arising from a growing population. Director of UKM’s Institute of Climate Change (IKP), Professor Dr Sharifah Mastura Syed Abdullah said the continued degradation of the remaining forests is of a major concern. Speaking to UKM News Portal after a seminar on Space Sciences here, Prof Sharifah Mastura said knowledge on deforestation and its driving forces in Selangor is very important as it provides the basis for the calculation of the total amount of carbon stock remaining above ground. 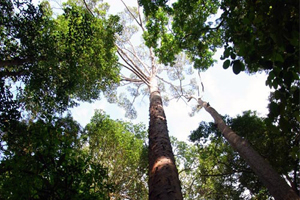 Carbon stock is the supply of carbon, especially carbon dioxide, kept in trees and other plants. She said the study provided an insight into appropriate measures that could be taken to increase the area of trees to reduce the release of carbon dioxide emission into the atmosphere. Photographs taken by satellites and land use maps from the Ministry of Agriculture and Agrobased Industry showed the deforestation in Selangor had complex causes. She said the reduction in forest cover in the state must be understood because for decades perceptions and controversies of deforestation had persisted in public debate. Prof Sharifah Mastura said the degradation was due to economic, institutional and cultural practicesand policywith just over half related to population dynamics and the rest due to agriculture, economic factors, public policy and road networks. Overall forest loss in the 22 years was 2% from dipterocarp forestsmade up of the largest trees and 8.6% from peat swamp forests. While the stastistics may not appear to be alarming, detailed analysis using the Normalised Difference Vegetation Index (NDVI) showed the quality of the forest had degraded widely. 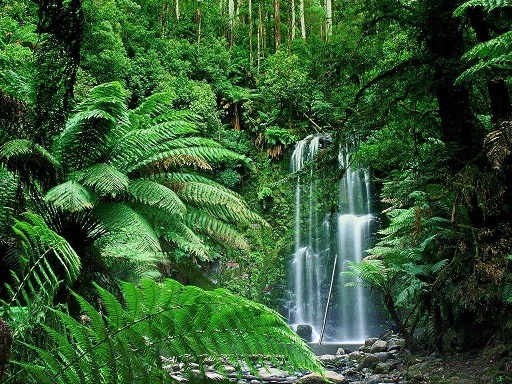 Most researchers agree that forest cover is an important and critical feature as it plays a major role in maintaining the regional hydro-climate-ecological balance as well as life sustainability and well being on earth. In Malaysia forest and grassland conversion was fourth in the source of carbon dioxide emission in the country, contributing 14%. Continuous conversion of forest to other land use is responsible in the releasing of carbon dioxide to the atmosphere. Global annual data on emission of carbon dioxide from deforestation amounted to 25% of the total carbon emission. Prof Sharifah Mastura urged more case studies be done on the deforestation process – not only in Selangor, but all over the country. Only then can the regional level be considered. She said case study results from Selangor contain valuable ground truth that helps to build up the bigger picture of the actual deforestation issue in Malaysia. 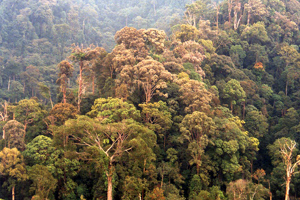 Any policy aimed at sustaining the forest in Selangor would be futile if underlying causes of deforestation are not properly known or poorly understood. 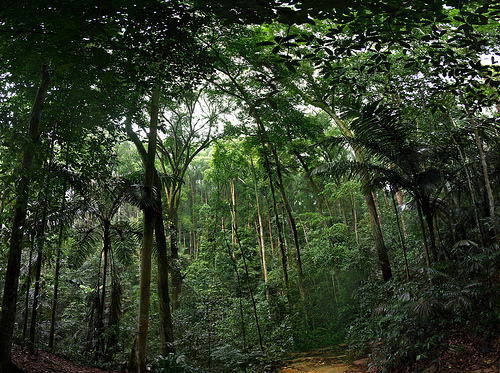 Many countries have policies favouring economic growth over forest protection. 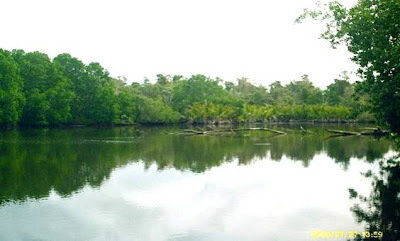 Consequently, these countries have to bear long term downstream and irreversible impacts of environmental degradation among which is an unsustainable forest resource. Forest Degradation Ensuring carbon stock in the soil and vegetation above ground, provides the critical information required for policy makers to access the feasibility of projects based on land acquisition, Prof Sharifah Mastura said. Microsoft is directing some of the money from its “game-changing” internal CARBON FEE to fund international carbon offset projects. 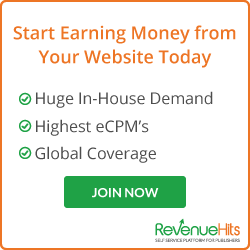 The Seattle, Washington-based technology firm implemented the carbon fee in July 2012 as part of its commitment to become carbon neutral, in recognition of the fact that the information and communications technology sector emits 2% of global emissions. “We are part of the problem, especially when we look at our customers and the proliferation of devices that are emerging and the energy they require, so we need to also be part of the solution,” said Tamara “T.J.” DiCaprio, senior director of carbon and energy, environmental sustainability for Microsoft. DiCaprio announced Microsoft’s new wave of offset purchases at the first ever REDD+ Talksevent hosted last week by the Code REDD Campaign, CSR Wire and REDD+ project developer Wildlife Works in Sausalito, California. 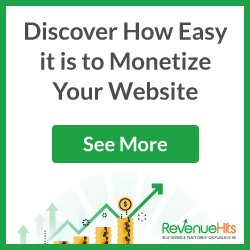 Since the implementation of the carbon fee, the company has invested more than $4 million in renewable energy and carbon offset projects around the world. Microsoft’s “game-changing corporate policy,” as DiCaprio describes it, fits right in with projects to Reduce Emissions from Deforestation and Degradation (REDD+), she said. One project Microsoft is investing in is the Oddar Meanchey forest protection project in Cambodia, in which Terra Global Capital works with local communities to halt deforestation and protect an area of 56,000 hectares of tropical forest. Forest cover in the Oddar Meanchey province is being lost at an average annual rate of 2.1%, the highest in the country. The company has also chosen to partner with Carbon Neutral Company to invest in carbon reduction projects that preserve forests and wildlife and generate jobs and fund education. “As a corporation in a developed country, we can invest in emerging countries, developing countries, to help them develop in a low-carbon economy, which is really the foundation for the Kyoto Protocol,” she said. There are three pillars to Microsoft’s strategy: be lean, be green, be accountable. Being lean involves reducing the company’s energy use, waste and air travel. Becoming a greener company entails, among other activities, investments in renewable energy and carbon offsets projects. The accountability phase involves charging the company’s 14 business divisions an additional fee to account for their carbon emissions, she said. The carbon price, which was not disclosed, could increase over time. DiCaprio hopes her company’s efforts can serve as a model for other organizations in putting a price on carbon, collecting the funds, driving accountability throughout the organization and using the funds to support projects, such as the Kasigau Corridor REDD project that aims to protect 500,000 acres of forest under threat in Kenya.